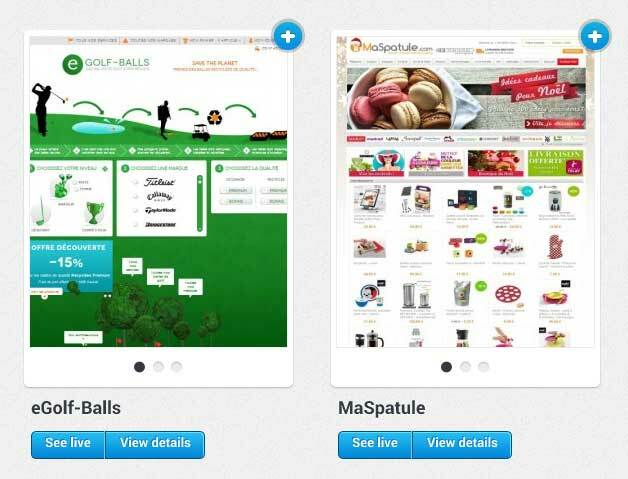 PrestaShop is a free and open source shopping cart platform for building an online store. The software was first made available in 2007 and now powers over 185,000 shops worldwide. PrestaShop is written in PHP, with MySQL being the default database in use. In this article on PrestaShop we will be taking a look at how easy it is to setup and use, as well as how it integrates with WordPress, to help you decide if it’s the right choice for your online store. If you are wondering what the online stores that are built with, and powered by PrestaShop look like, there is a large selection available to browse in the showcase section of the website. If you take a look at the stores in the showcase, you can see that almost any type of shop can be built with this software, and there are little constraints on how the end results will look. As you can see, the appearance of the frontend of a store can be greatly modified by a change of theme. Although PrestaShop is available as a free download from their website, your web host may well include the ability to let you install this eCommerce store builder in just a few clicks. 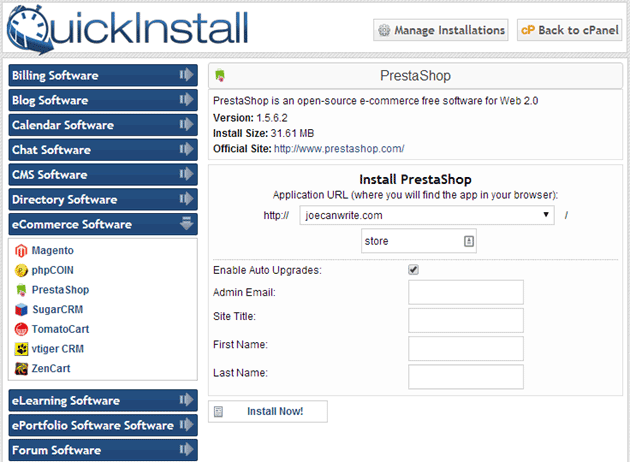 Using an entry level HostGator shared hosting account, installing PrestaShop took just a few minutes, a couple of clicks, and very little effort, thanks to its inclusion in the QuickInstall list of applications. If you want to install the software manually, or your web host doesn’t offer a PrestaShop installer, then there is detailed documentation covering how to install it on a server, or locally on your computer. 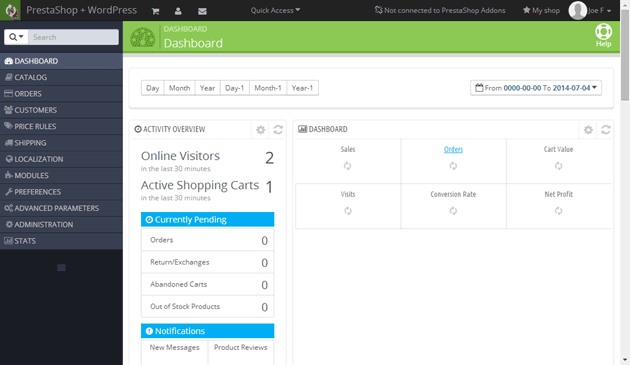 The admin dashboard area is known as the back-office in PrestaShop terms and is similar to the WordPress dashboard in the way it allows you to manage your site and add content. 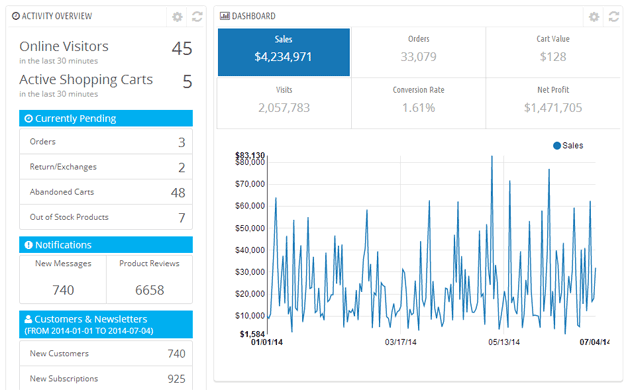 From the back-office you can get access to reports on how your store and its inventory are performing, as well as adding products to your store, and general shop management. This means you are able to add individual products to your store, bundle those products up into packs, and also sell digital downloads, services, or bookings, using the virtual product option. Adding a product is straightforward and the standard fields you would expect to see are all present and correct. 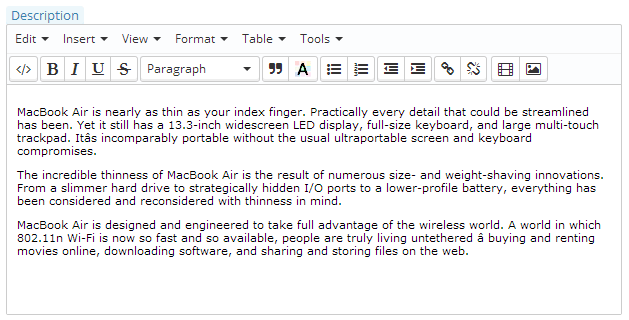 There is a familiar looking editor for adding the product descriptions. Through the individual product screens you can also set the shipping details, any file attachments, and complete the SEO fields. Under the Orders menu on the back-office sidebar, you can view all the purchases from your store. Orders placed by customers through your store are added to the list of purchases, but with PrestaShop you can also add orders to the store on behalf of customers should the need arise. Invoices, delivery slips, and credit slips, can all be generated as PDFs for easy distribution and printing. 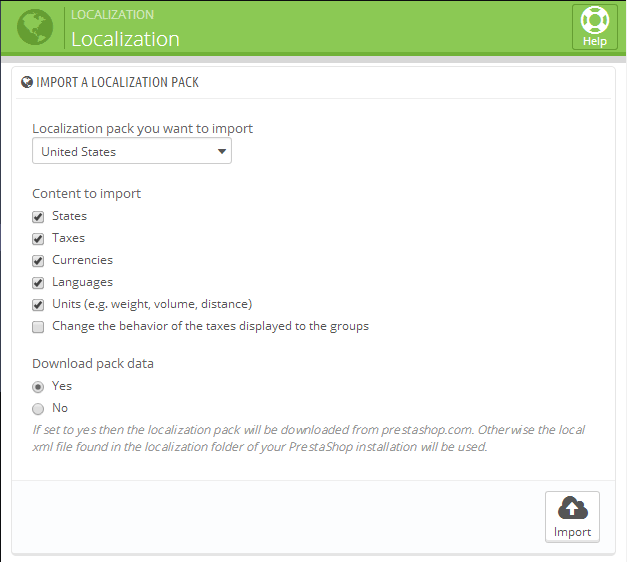 The PrestaShop software includes some useful time saving features such as being able to import the localisation settings for a particular country, including the states, taxes, and other specific data for the chosen territory. While the core PrestaShop software is free, much like WordPress there are many modules and themes which can be purchased to enhance and upgrade your store. 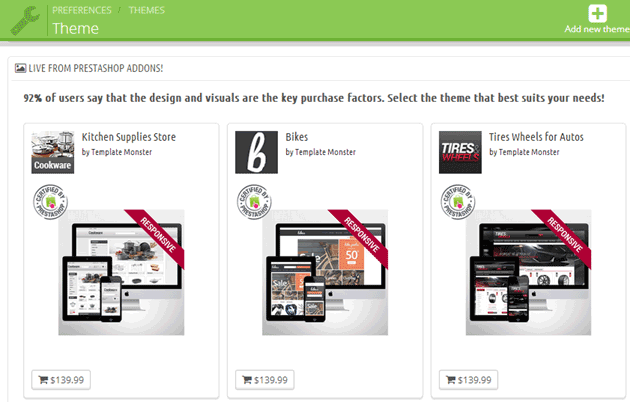 Again, like WordPress, these add-ons and themes are available as free or premium products. By browsing the PrestaShop office online marketplace, you can get a good sense of the optional extras that are available, and which areas of the core software can be improved with an add-on. Installing the modules that can enhance the functionality of your store by adding new features is relatively straightforward. 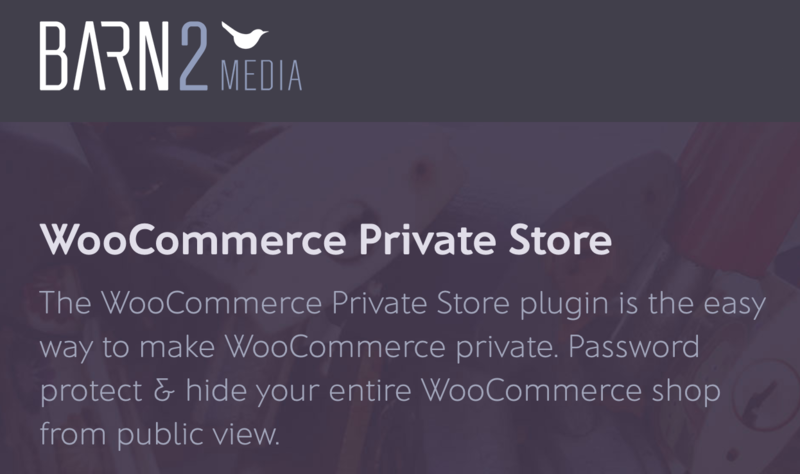 You do have to register and create a free account on the PrestaShop website to get access to the free and premium modules, but once you’ve done that the zip archives of the modules can be downloaded to your computer, before being uploaded to your store. Once you’ve logged into your store, the modules menu can be accessed from the dashboard, and then from there, the ‘Add new module’ screen can be used. After that it’s a case of locating the downloaded module file on your computer, and then uploading it into your store, before activating it from the list of available options. PrestaShop themes can be downloaded from the official marketplace, and it’s possible to browse the available themes right from within your store’s back-office. There are lots of themes available for PrestaShop, from a range of developers so no matter what type of store you are building, there should be something that meets your needs. As well as being available at the PrestaShop store, themes can be found at marketplaces like ThemeForest, and Template Monster. This all helps you keep a close eye on your store and see how it is performing in terms of visitors, sales, and customer engagement. While PrestaShop has been designed to build online stores, there are modules available which allow content to be published on the store, for example in the form of a blog. However, if you want to use WordPress as your content management platform, and PrestaShop for managing your online store, rather than one of the eCommerce plugins for WordPress, then there are a few options for integrating the two platforms. If you do want to let PrestaShop handle the online store functionality, and then you can install WordPress in a sub directory or on a sub domain in order to allow you to add a blog to your store. One store which takes this approach is Archiduchesse, which uses WordPress to power the site’s blog in a sub-directory, using a similar theme on both sections of the site for continuity and a seamless user experience. Another module is the Custo.me PrestaShop on WordPress module which allows you to integrate some elements of your shop into your blog. These include the header and footer, enabling you to create a more consistent look between the two areas of your website. There are also a few plugins for WordPress that can help with the integration between these two platforms. One is PrestaShop Integration which is a free download from the WordPress.org plugin directory. This plugin adds a selection of widgets and shortcodes to your WordPress site which can be used for displaying products on your blog. If you do use these two platforms in tandem, then some kind of integration is recommended as it can help can ensure your visitors are aware of the products you have on offer when viewing the blog, and also keeping the shopping cart on display to remind them to check out before leaving the blog. As mentioned PrestaShop is 100% free to use. There are no one-off or monthly payments so providing you have a domain name and a web host you can create an online store at no cost at all. If you do want to increase the functionality of your store, or change its design and appearance, then the PrestaShop official marketplace gives you the option of purchasing add-ons, such as new modules and themes for your store. There is a lot of user documentation on the PrestaShop website which covers all that is needed to get up and running and start adding products and managing your store. The documentation is available in a number of different languages. As well as the free online documentation, there are also premium training courses available through the PrestaShop website. These include a 2-day Online User PrestaShop Training package, and developer and integrator courses. As well as the training packages, there are also premium support user guides available that enable you to purchase all the support materials in one easy to access format. There are also free eCommerce calendars that can be downloaded to help you make the most of the holidays and special occasions in various countries, in order to best market your goods to your visitors. If your web host allows you to install the PrestaShop software through their control panel, then you could have the foundations for an online store up and running in no time at all. If not then installing the software manually isn’t too much of a problem either, and there is plenty of easy to follow online documentation to help you. Like the eCommerce solutions for WordPress, the core functionality of PrestaShop is available for free, with premium add-ons and themes available to help you extend your store and change its appearance. While the amounts range, the prices are reasonable and considering they allow you to create a better online store, they should be able to pay for themselves in terms of increased sales or time saved. The back-office interface for managing the store is easy to get to grips with, especially for anyone who has used a CMS with a similar backend dashboard, such as WordPress. The back-office contains all the features you would expect to see when managing an online store, with plenty more features available to be added through the modules system. PrestaShop is a good choice for anyone planning to build an online store. Whether it’s a better choice than WordPress and a suitable eCommerce plugin will depend largely on your personal preference, although the community and ecosystem that has built up around WordPress is hard to beat, even in terms of the eCommerce provisions. I agree that wordpress is unbeatable when it comes to being user-friedly, admin-friendly and flexible. Are their any kind of major security concerns with wordpress? hi Joe good words very interesting ! I am gonna install https://www.prestashop.com/forums/topic/432988-module-wordpress-blog-integration-to-prestashop-13141516/ but one thing am worried about is that it only allows to integrate WP in a sub directory. There is no sub domain option. Do you think Google will like the content although it is in a sub directory? hi rass, how did that work out for you with prestashop/WP integration? Works well? Whats your domain?so i can have a look because i am planning to integrate a prestashop into wp. Thanks a lot for nice post.